LAUD first rose to prominence to the Ukrainian public when competing on The Voice Ukraine, where he finished fourth overall. Following this, he released his debut single "У Цю Ніч" and has continued to release songs in Ukrainian ever since. 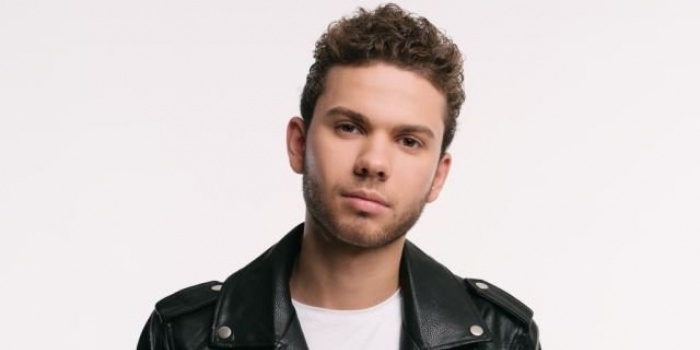 His next competitive appearance came in Vidbir 2018 when he competed with a song in English, "Waiting". Despite heavy competition from other heavy-hitting talents in the Ukrainian music industry, LAUD managed to qualify to the finals of the competition, where he once again finished fourth. LAUD draws from various soulful, jazzy influences to create a sound all his own, and despite having predominantly released songs in English admits he feels more comfortable writing songs in English. With the same manager as Vidbir/Eurovision-winning artist Jamala, the question remains as to whether LAUD will make another run in Vidbir... you'll have to watch our interview to find out his answer.